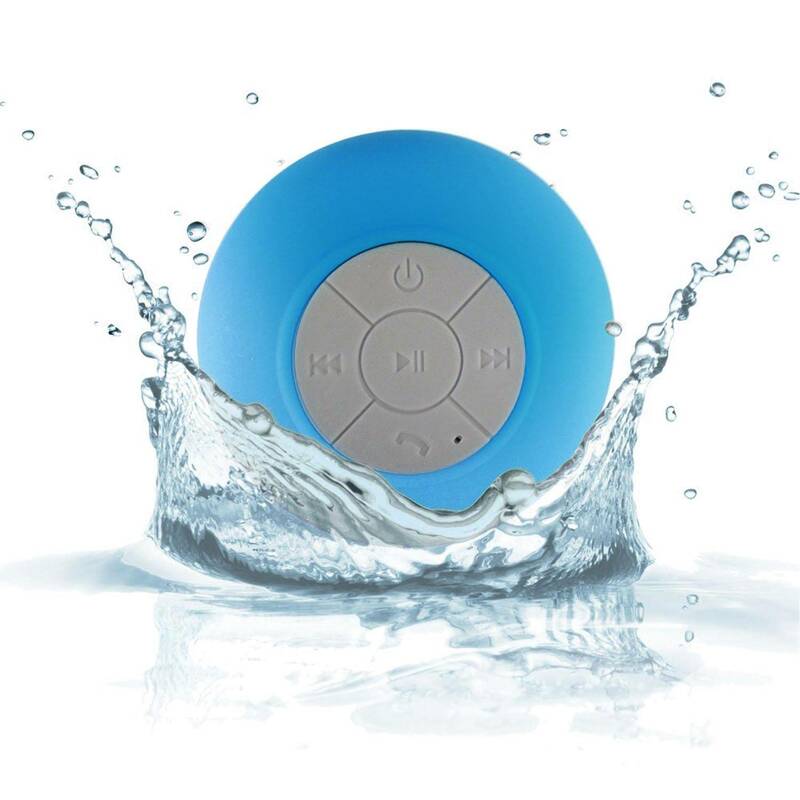 Waterproof wireless speaker, hands-free portable speakerphone with built-in microphone. Up to 6 hours of wireless play time. Silicone rubber finish, ABS body. Rechargeable, 3W output, 5v input, 400 mAh battery. 30' Bluetooth range. Includes USB charging cable.